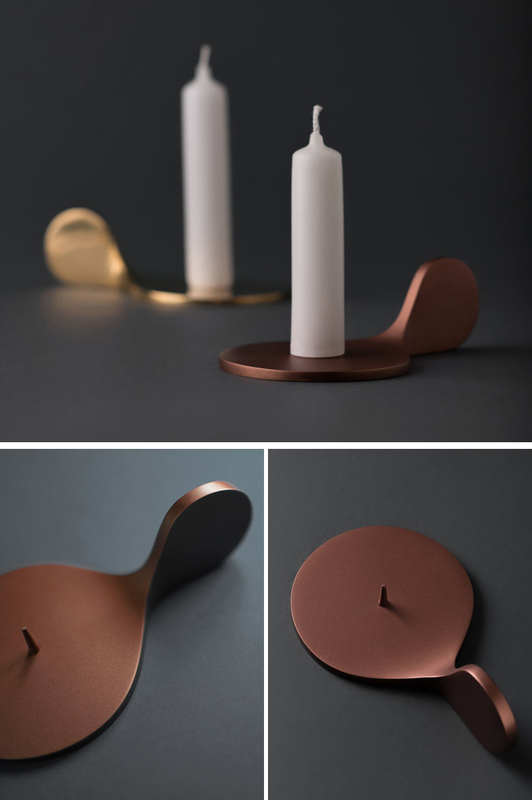 Croatian design studio Regular Company, have created these gold and bronze metal candle holders that are minimalist in their design and easy to use. 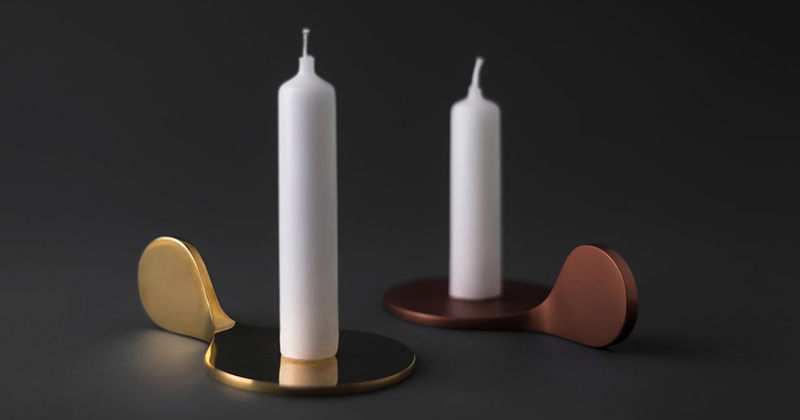 With a modern twist, these holders bring traditional portable candle holders to the present. The simple flat tray has a smooth curved handle, with a stand suitable for holding just a single candle at a time.